The more frequently you take care of your instrument, the better it will be and the more stable the tunings are. Therefore, the rule of thumb is every six months. Winter and summer, or fall and spring. The frequency of a tuning ultimately is decided by how much you can stand it being out of tune. So that really depends on the individual and the situation. For example, when the Meyerson Symphony Hall in Dallas is in concert, their piano is tuned every 45 minutes. 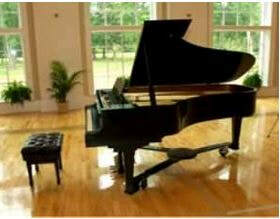 And world renown pianist, Arthur Rubinstein, had to have his piano tuned every 30 minutes of playing! Why? Well, he just could not stand a single note being out of pitch. 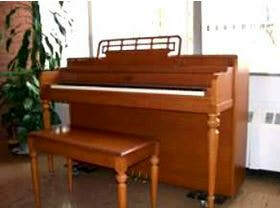 If you don't tune it regularly (every 6 months), you should at least consider having your piano tuned annually. A sticking key can be one of the most annoying aspects of a piano. Just like humans have arthritis, pianos can have sticking keys. 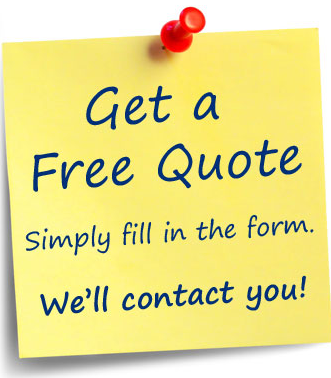 However, this problem can often be resolved right on the spot, without incurring any additional charge. Sometimes, it may be caused by broken parts. Or, poor humidity control can also be a cause since wood swells in high humidity environments, preventing the hammer stem's rotating pin to operate smoothly . And believe it or not, lack of playing a certain key can cause it to become dormant . . . thus making it sluggish. If the problem is persistent or severe, the action may have to be removed and taken to the shop for repair. It does not necessarily cost a lot, but it is "pain" to deal with . . . for the the player and the piano technician. Wooden instruments (violins and pianos in particular) are VERY sensitive to hydro-static changes -- that is the inter-relationship between temperature and humidity. More specifically: the interaction between the two. 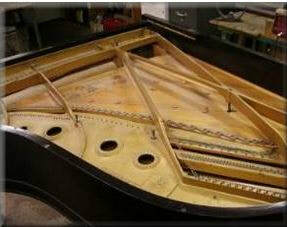 This is a critical factor in the tuning stability of a piano. Summer: Fresh air is pulled in from the outside and the inside of your home is subject to roughly the same humidity reading as the outside. So, the inside humidity mirrors the current outside humidity. The problem is that you don't have an accurate way to remove humidity in your home. Winter: You would usually run a heater on the A/C . The outside humidity may read 50%, but the dry air inside is sucking up the hydrogen particles and the indoor humidity reading may only be 25%. This inconsistency is a big problem for a piano as any pin block would react to it, and cause the pins to loosen. 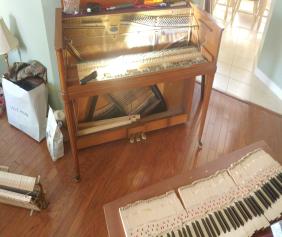 ​What's The Best Place To Put My Piano? Avoid placing your instrument near drafty/open windows or doors. This will significantly impact how your tuning is holding up! If your home's construction is old and you have drafty walls, or uneven insulation, keep it away from outside walls. 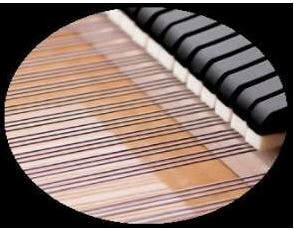 A piano positioned on an outside wall will have the soundboard directly exposed to temperature changes. However, In newer construction (post 1990), this should not be a concern. Replacing a string may take up to 3 weeks. This is due to several factors including the thickness of the copper, the threading of the loop and the making of the hexagonal steel core of the string. These items are critical to replicate the exact sound image of the neighboring strings. 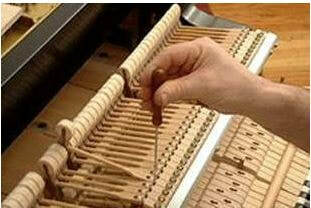 Frisco Piano Tuner is proud to provide an exact replica of any string on your piano. As much as you might enjoy practicing to become the next Liberace, Billy Joel, or Elton John, your neighbors aren't necessarily going to appreciate you if you live in an apartment. A comprehensive damper/muting system can be installed inside your piano which will allow you to practice to your heart's content! Always respect your neighbors . . . So many times we see that owners like to assault their piano after it has been tuned. They want to play the most virulent pieces on the repertoire, aggressive Brahms sonatas, Chopin Etudes, Rachmaninoff concertos, or even good old down and dirty Rock N Roll . . . 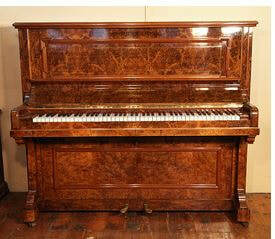 When a piano has been freshly tuned, it is recommended to play it very softly and gently. Learn to train your ear to the sound of a well tempered keyboard. Play your piano in such a way, and you will find that magical, musical, happy medium that will bring out the best in your treasured instrument!